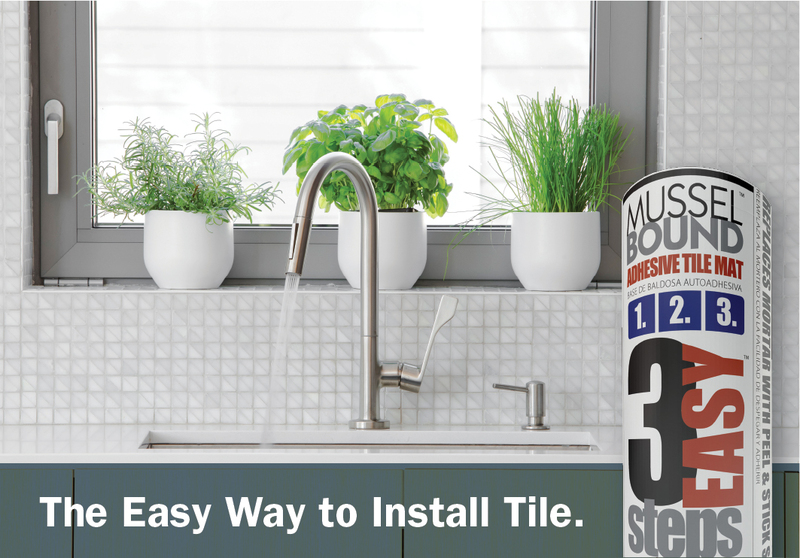 MusselBound Adhesive Tile Mat is ideal for kitchen backsplashes, countertops and shower walls. No Mortar, No Mess! Any questions not answered in the FAQs, Videos or Installation Instructions? Any type of glass, stone, porcelain, ceramic, metal, mesh-backed mosaics less than 144 sq in (12" x 12", 6" x 24", etc.) and less than 1/2" thick. Tile over surfaces such as drywall (including plaster or lightly textured),cement-board, stainless steel, glass, fiberglass, wallpaper, paneling, plywood, laminate and existing tile. May be grouted immediately after setting tile. Compatible with any grout. 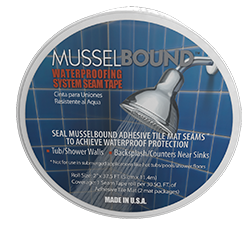 MusselBound is moisture impermeable when used with MusselBound Waterproofing System Seam Tape. 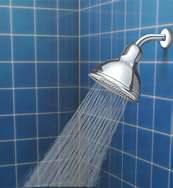 Not for use in outdoor applications, floors, ceilings, steam rooms, shower floors and submerged projects. MusselBound Adhesive Tile Mat will simplify the application of tile to your kitchen backsplash, kitchen countertop and bathroom tub shower walls. 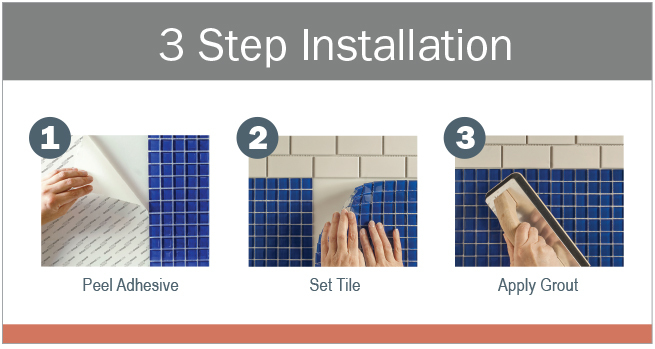 Understanding and appreciating the benefits of MusselBound requires a look behind the decorative tile and into the process involved in installing your kitchen tile backsplash, bathroom vanity and bathtub walls. 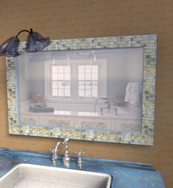 MusselBound simplifies homeowner DIY kitchen backsplash and bathroom tile remodel projects and reduces contractor tiling schedules from two days to one. This unique tile adhesive eliminates the 24 hour dry time and mess of mortar or thinset, allowing your kitchen tile backsplash project to be completed in just one day. 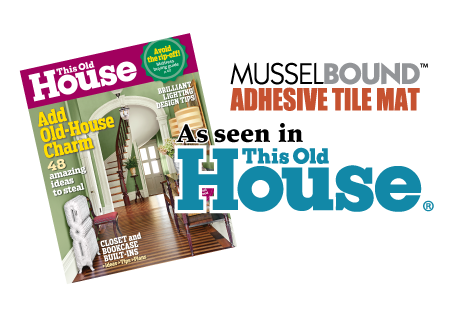 MusselBound Adhesive Tile Mat is available nationwide at Lowe’s.